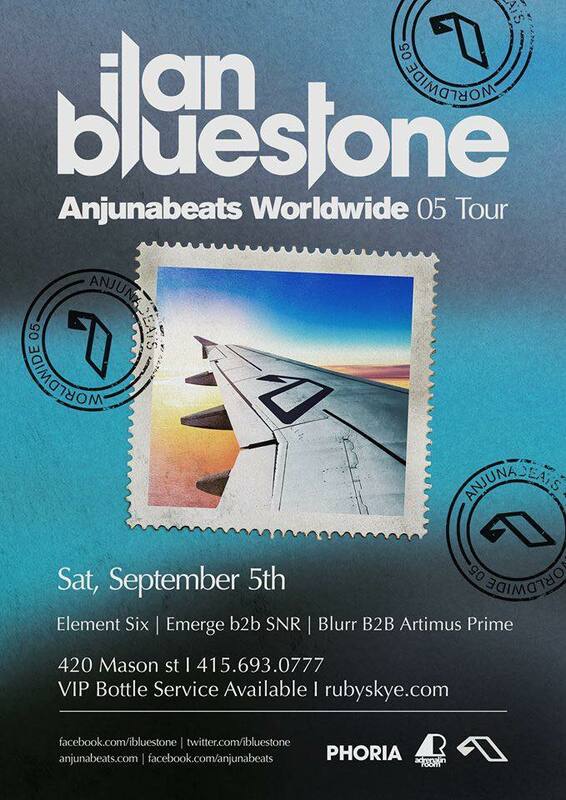 Labor Day Weekend with Ilan Bluestone on Sat. Sept. 5th! Don’t know enough about Ilan? Well, he’s a an Anjunabeats signed, London-based producer inspired by Above and Beyond, Arty, and Swedish House Mafia and has worked with the likes of Maor Levi, Jerome Isma-Ae, and BT. He’s earned the respect of many with his progressive tunes that he’s known for today and many of his hits include ‘Under My Skin’, ‘Capetown’, and ‘Spheres’. Check out Bluestone’s latest collaboration with the one and only BT, coming out Sept. 25th! Maybe you’ll get to hear this song live, but you’ll never know unless you buy your ticket! The London man aside, Phoria’s own Blurr will be hitting the decks with a back2back with Artimus Prime and featuring Central Valleys rising star Emerge back2back with local star SNR. The amazing new duo Element Six will be on closing duties after Ilan. These local acts will be sweet toppings for a night of too good to be true trance!